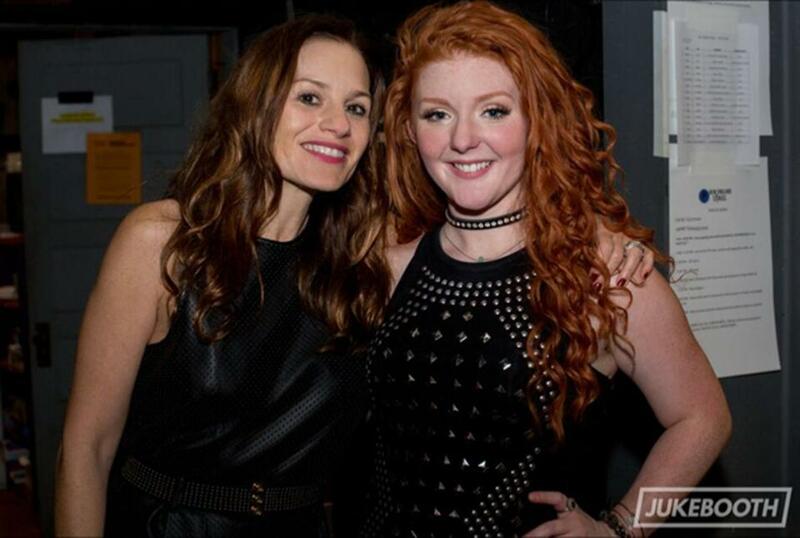 Kara DioGuardi (left) with Lexi James, winner of last year’s New England Sings vocal competition. It was last summer when Kara DioGuardi’s pastor asked her if she would help organize a singing contest in the small Maine town she calls home. The onetime “American Idol” judge immediately knew her answer: No thanks. DioGuardi laughs at that last thought, but the concern was real enough that she was motivated to make sure that New England Sings — open to contestants ages 12 to 21 — had the polish and professionalism to stand on its own. With the event returning on Tuesday to the Ogunquit Playhouse for its second year, major sponsors such as iHeartRadio, and spinoff competitions, it’s hard to mistake New England Sings for a half-hearted attempt by a has-been to recapture her former “Idol” glory. Not that DioGuardi is unaware of how her current chapter looks from the outside. After a songwriting career that made her a regular presence on the pop charts for over a decade — having written hits for Kelly Clarkson (“Heartbeat Song,” “Walk Away”), Pink (“Sober”), Christina Aguilera (“Ain’t No Other Man”), and Carrie Underwood (“Undo It”), among many, many others — she found that she wasn’t as willing to make the sacrifices needed to stay current in the business as she once was. That was precisely what DioGuardi found appealing about helping to establish New England Sings and its attached nonprofit, Inspired Nation, as well as tethering both to a mission of youth philanthropy and activism. “It’s broader than music,” she explains. In addition to a $500 cash prize, the winner receives a Berklee Summer Sessions scholarship and gets to perform at a Dana-Farber Cancer Institute gala Oct. 21. Ogunquit Playhouse artistic director Brad Kenney shares DioGuardi’s enthusiasm for the social mission of New England Sings. “I could hear the commitment in Kara’s voice and the people around her to, yes, do a singing competition, but it’s so much more than that. There was a great wish to coach philanthropy and to coach the strength of young people’s voices and the impact they can make,” says Kenney, who is one of the judges. Part of nurturing those voices is providing a support system for them once the show has ended, something that bothered DioGuardi in her “American Idol” days. Speaking with an air of maternal conviction, DioGuardi says that she’ll remain available to mentor the New England Sings contestants, just as she has with her former Berklee students. It is, after all, why she let herself get roped into producing the event in the first place.